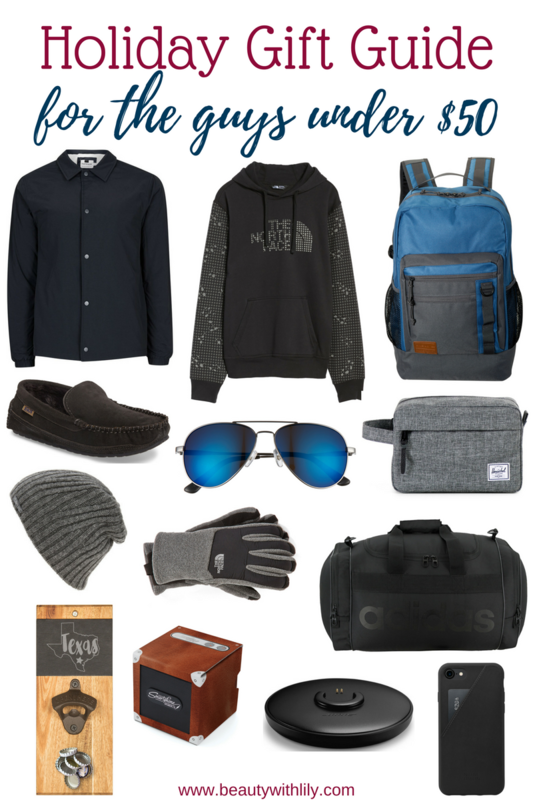 Shopping for men is the hardest, but this ultimate gift guide for the guys is sure to relieve some stress. You’ll find products from under $150, $50 and stocking stuffer ideas. 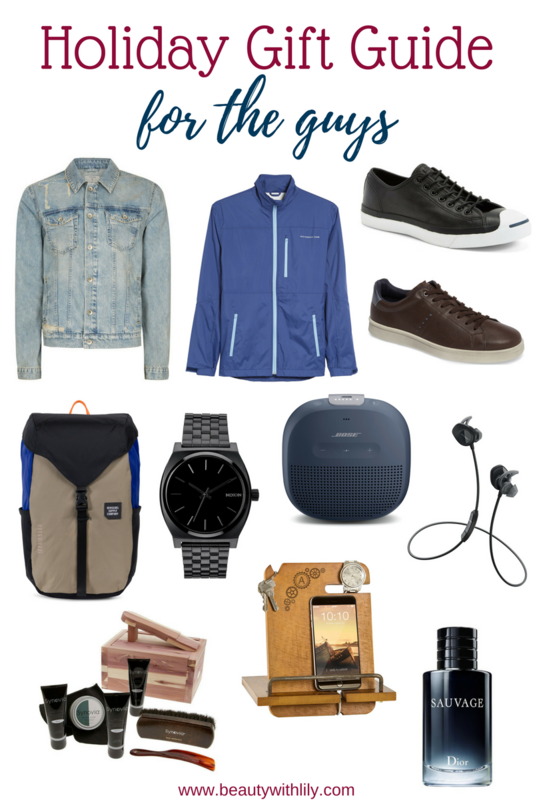 Last year my gift guide for men did SO good that I was really excited to bring it back this year. But I was a bit lost…so this year, I had the help of my husband and my brothers! 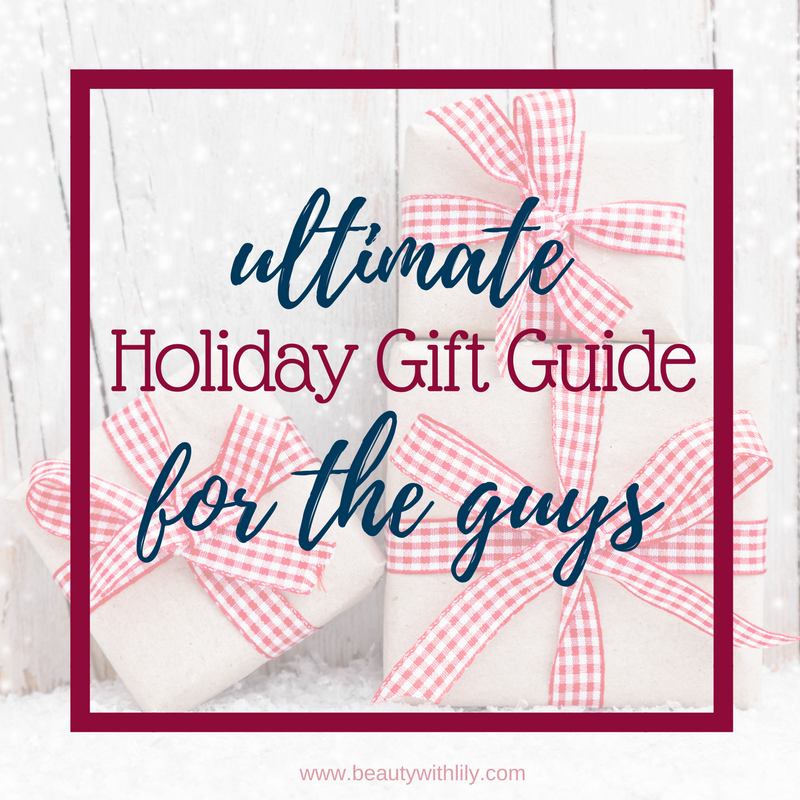 So most of these gift ideas are coming from a mans perspective, so the men in your life are sure to love them! I tried to find a variety of products for different type of men and still stay under $150 — to be honest, almost everything is under $100, except for the earphones and the bluetooth speaker. As far as clothing goes, all of the men in my life mentioned they don’t particularly “love” getting clothes but they did like this jean jacket and this casual windbreaker. Both of these sneakers, the black and brown pair, were favorites as well. Now if you have a man that likes camping or hiking, this backpack will be the perfect gift for him. For the man that has a lot of electronics and not a lot of space, this docking station is pretty neat, it even has room for this watch! Lastly, this shoe valet or this Dior cologne would be a great addition to most mens toiletries cabinet. Now onto gifts under $50! This simple jacket and reflective hoodie, along with this cool backpack would make great gifts for just about any man. My husband and even my dad, go through house-shoes like crazy, so a nice pair would be great for them. And how cool are these sunglasses? They come in different colors too. A good duffel bag and toiletry bag would be good options, along with a good quality phone cover. Cold gear accessories, like beanies and gloves are good too! And for those super hard to shop for me that may have a man cave, this wall bottle opener or this neat speaker would make great gifts. All of these stocking stuffer ideas are under $25 — so they would make good secret Santa, white elephant, or co-worker gifts. 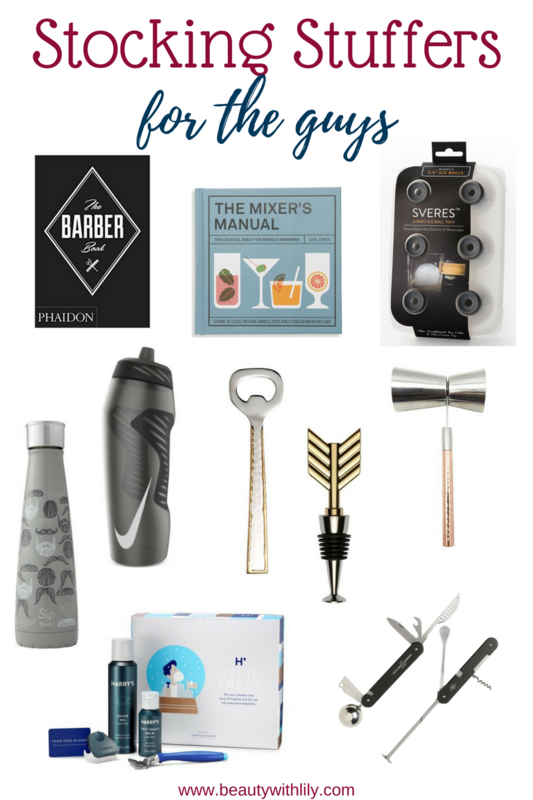 I included bar accessories — like this ice ball mold, a jigger, bottle opener, a bottle stopper, a book, and a 10-in-1 cocktail tool. That about wraps it up, my friends! I hope these guides are helpful, especially since these are coming from actual men. Do you know what you are getting the men in your life? Let me know down below! Don’t forget to pin and share this post to help someone else! "Beauty Mix | Easy Bold Makeup Look"